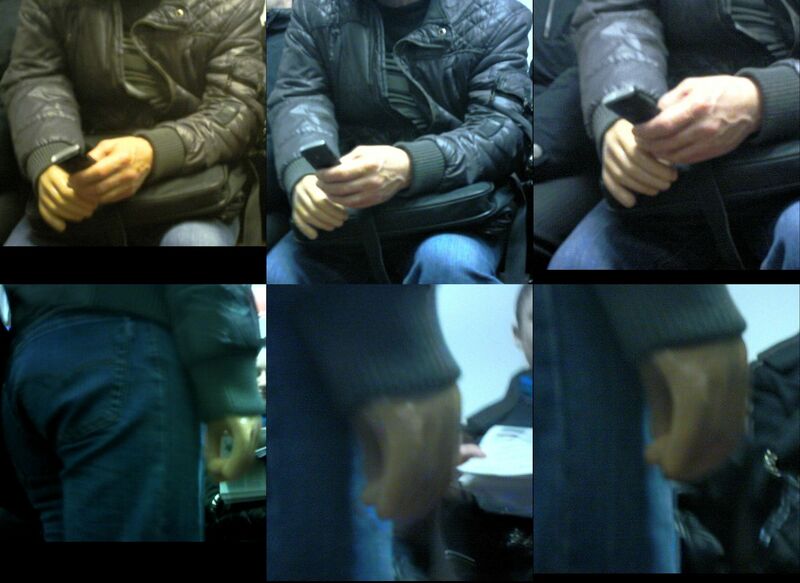 Another artificial hand wearer seen on the subway. The prosthesis looks so awkwardly unnatural! Arnie’s casts in Terminator 1 looked closer to real flesh then this one.